Enjoy the top 2 famous quotes, sayings and quotations by Dazzy Vance. Something went wrong with my right arm. I no longer could throw hard, and it hurt like the dickens every time I threw. 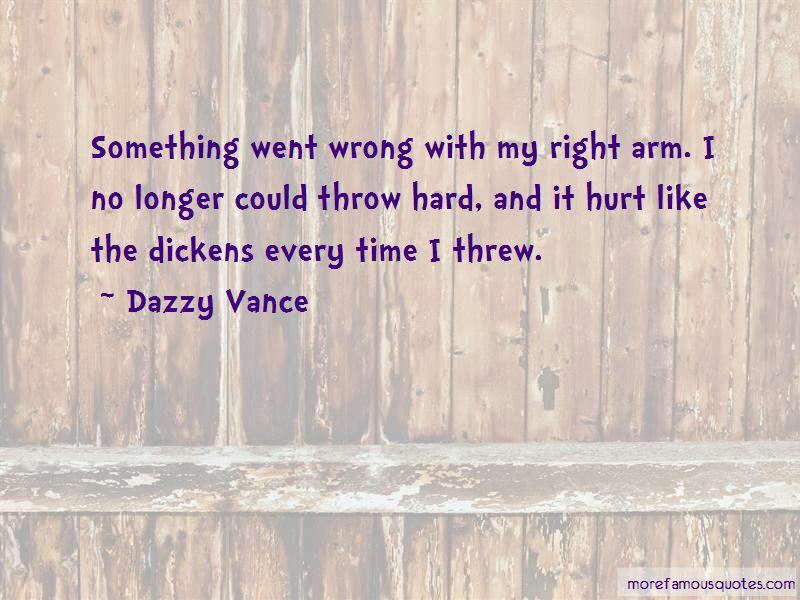 Want to see more pictures of Dazzy Vance quotes? Click on image of Dazzy Vance quotes to view full size.